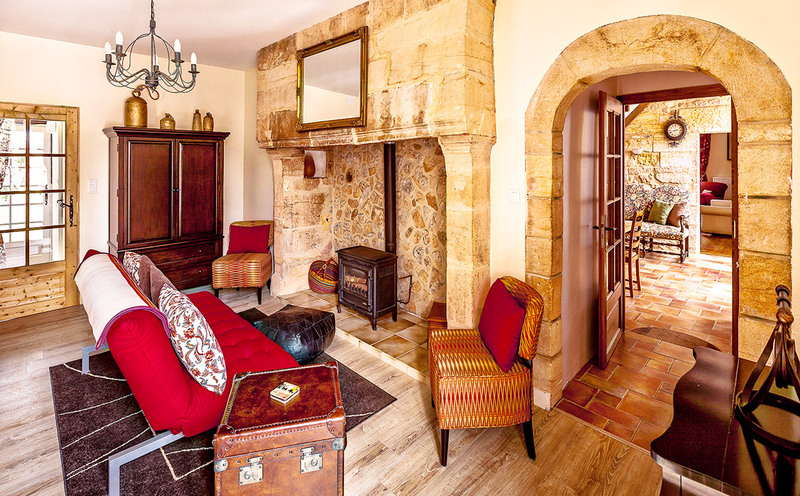 The Mulberry Tree Villa, a 300 hundred year old beautiful stone and wood house. Beautifully furnished and with all the modern comforts for your relaxation and enjoyment. 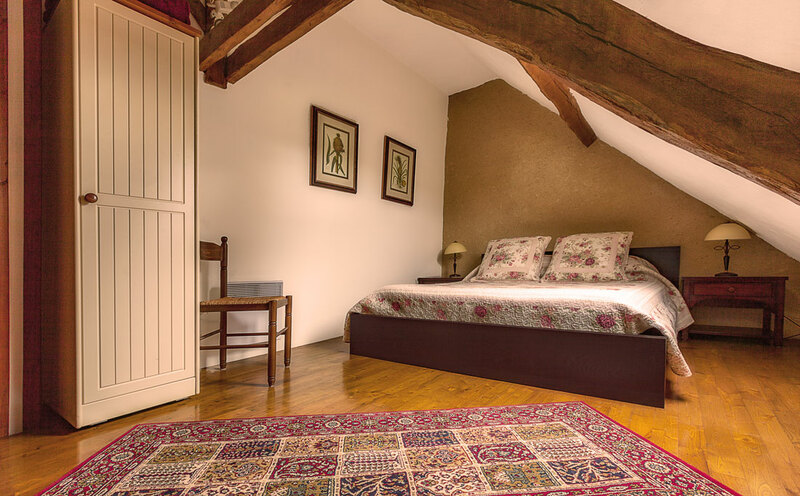 The Mulberry Tree Villa provides light and airy accommodations with modern facilities, while maintaining many of it’s original 17th century charming features. 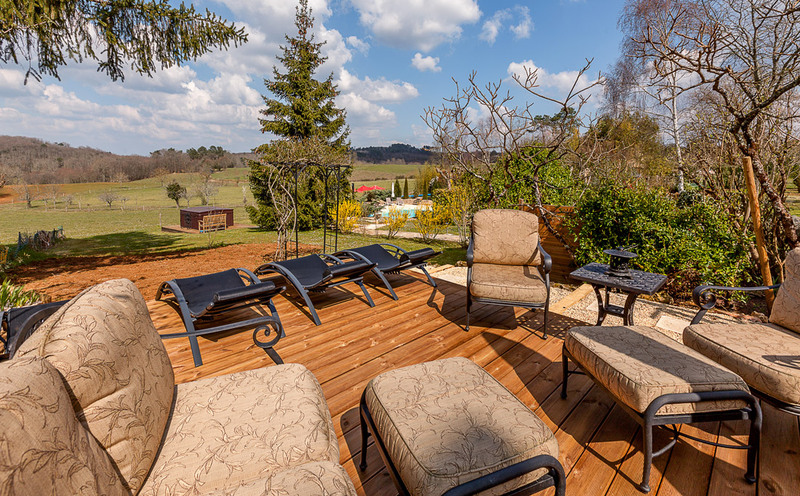 This beautiful lovely villa that sleeps 10-12 persons is an ideal vacation rental getaway for family and friends to enjoy while exploring the beauty of the Dordogne. The home is built out of stone, with oak and chestnut beams. 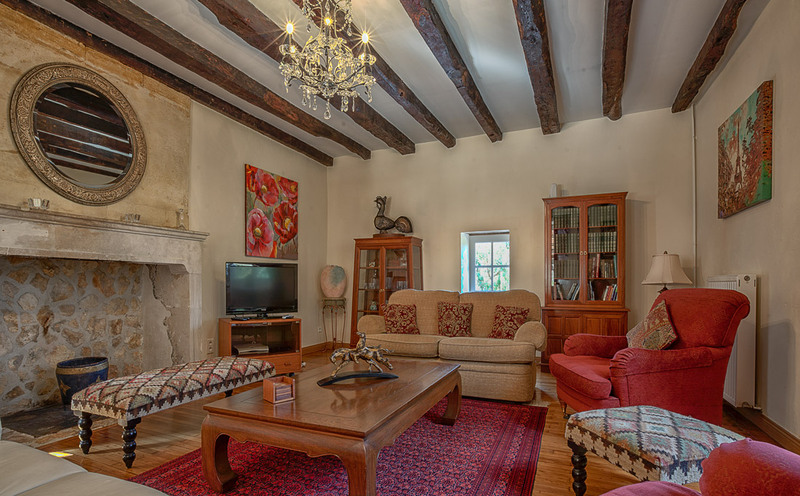 There are beautiful wood and tile floors throughout, and large stone and marble fireplaces. 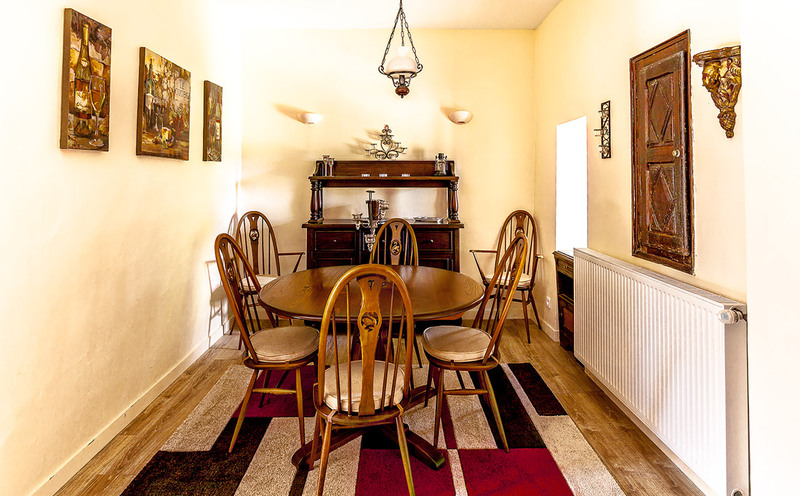 As you step into this wonderful home full of character and charm, you enter into a lovely stone walled dining area with a beautiful oak dining table which seats 12. 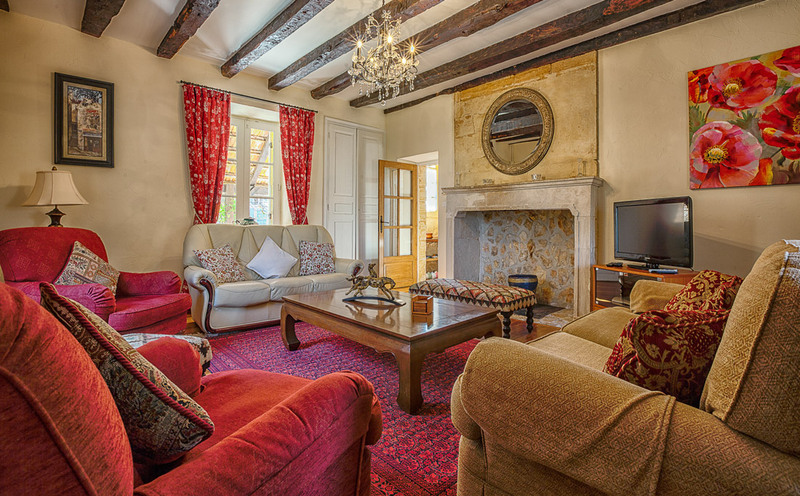 There are 2 large beautifully decorated and comfortable living/family rooms. 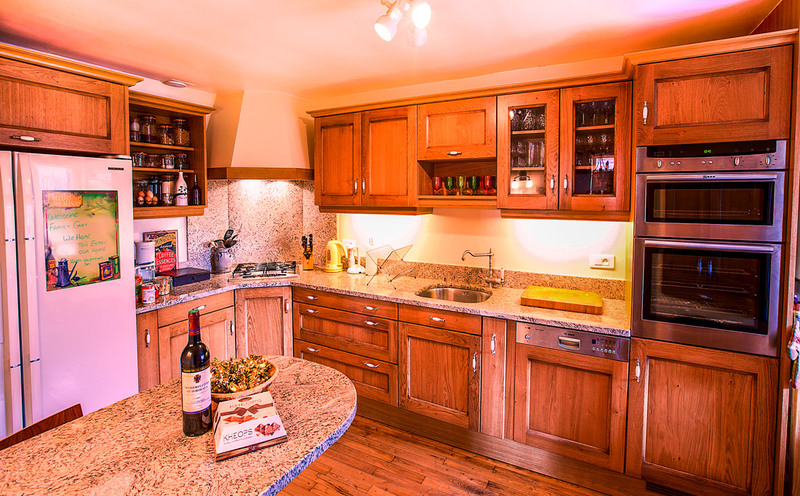 The gorgeous oak kitchen with granite counter tops is modern, well equipped, and a chefs dream – just ask Chef Dimitri. There is total of 5 spacious and beautiful bedrooms and 4 full bathrooms through out the villa. Upstairs there are 4 bedrooms with beautiful wood floors and oak beam ceilings and downstairs there is 1 private bedroom suite. All are furnished with gorgeous quilts, comforters and luxury quality mattresses and linens. The master bedroom is very spacious with high ceilings, a California king size bed, and its own en suite bathroom with a lovely relaxing bath tub and separate walk-in rain shower. 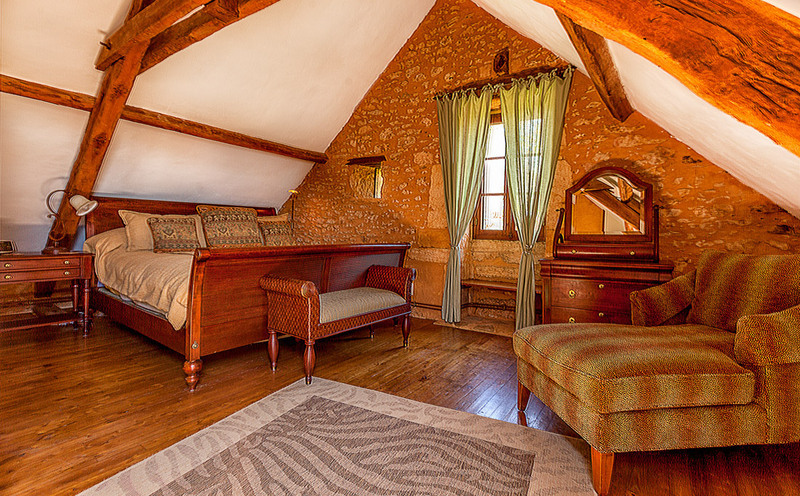 Bedroom 2 has a beautiful wrought iron queen bed, and en suite bathroom with a walk-in rain shower. Bedroom 3 has a lovely PotteryBarn style wood queen size bed. Bedroom 4 has a comfortable king size bed that can be converted into two twins (upon request). Bedrooms 3 & 4 share a separate private bathroom with a walk-in rain shower. 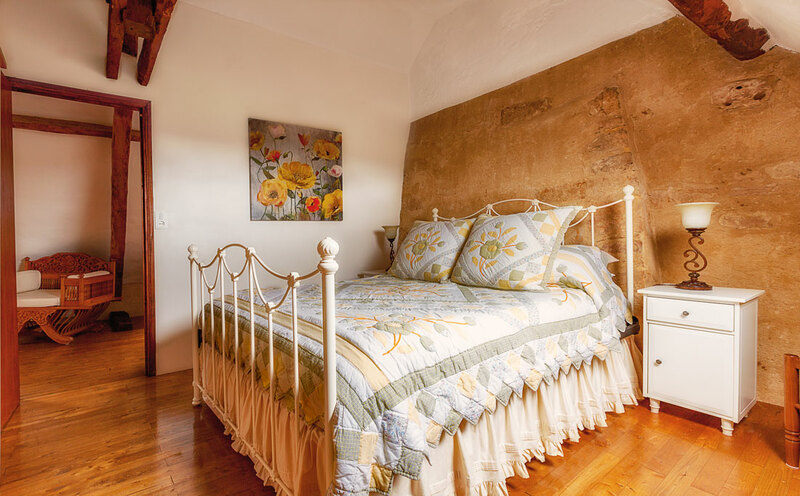 Bedroom 5 is a private accesible suite downstairs, and has a charming wrought iron queen size bed with a beautiful view overlooking the mulberry tree courtyard. It includes its own living area and a full bathroom with a large walk-in rain shower. The villa has it’s own washer and dryer just out the back door. 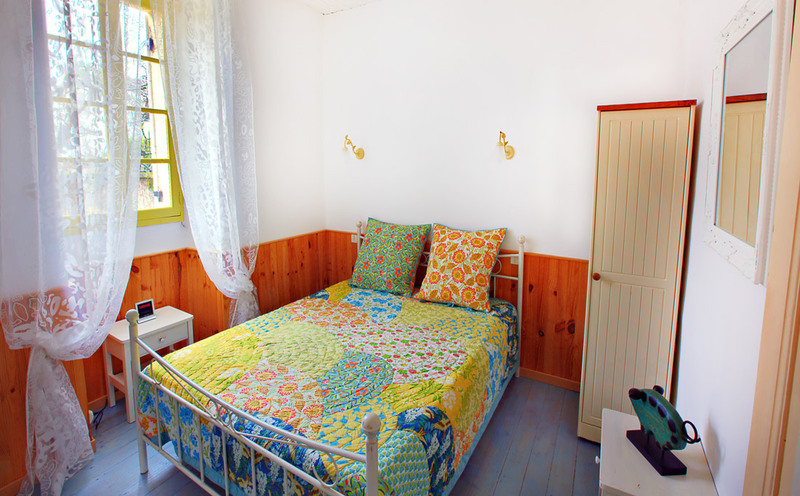 We also have a baby bed, baby cot, and high chair that are available, and can be placed in the villa upon request. You have the feel of the 17th century in this beautifully furnished home, with all the modern upgrades and comfort of home. For your outside enjoyment and entertainment, you will truly enjoy stepping out onto your private dining terrace and relaxing spacious wood deck. On the terrace there is a large family size Weber gas grill, teak high top table and 4 bar stools, a large teak table and chairs for outside dining, with a very large patio umbrella for shade. Your private spacious wood deck has a wonderful cast iron patio set, including 2 comfy loungers with foot rests, and a 2 seater top table and bar stools. 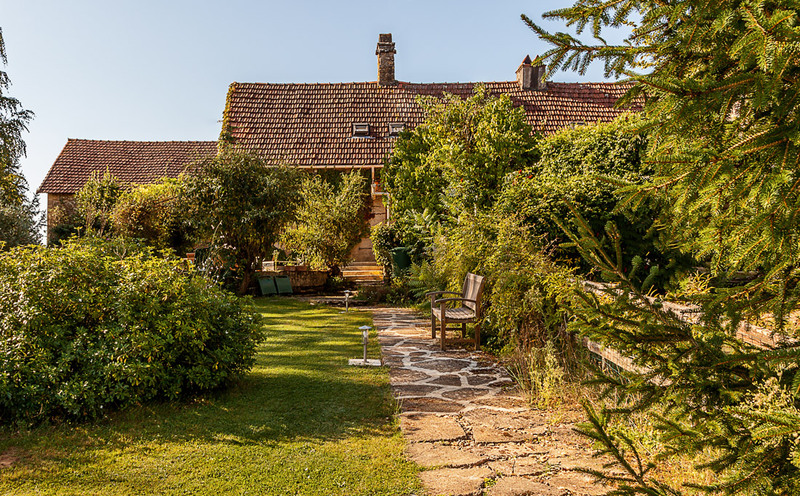 Leading down from the patio there are stone steps that take you down to the fabulous salt water heated pool, and the Jacuzzi hot tub that are over looking the beautiful gardens, and the lush green Dordogne countryside. You can relax in the gorgeous manicured gardens surrounded by mature trees, plants, and beautiful flowers. 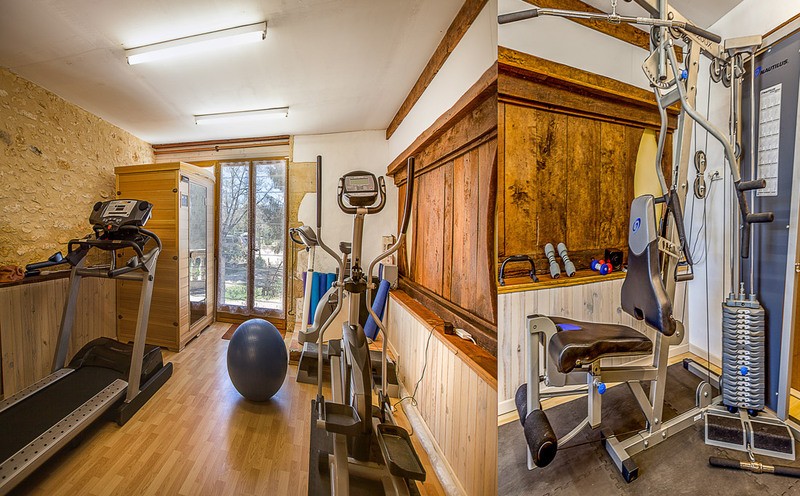 If you feel like working out, we have a state of the art gym that you can exercise in, which includes a sauna. 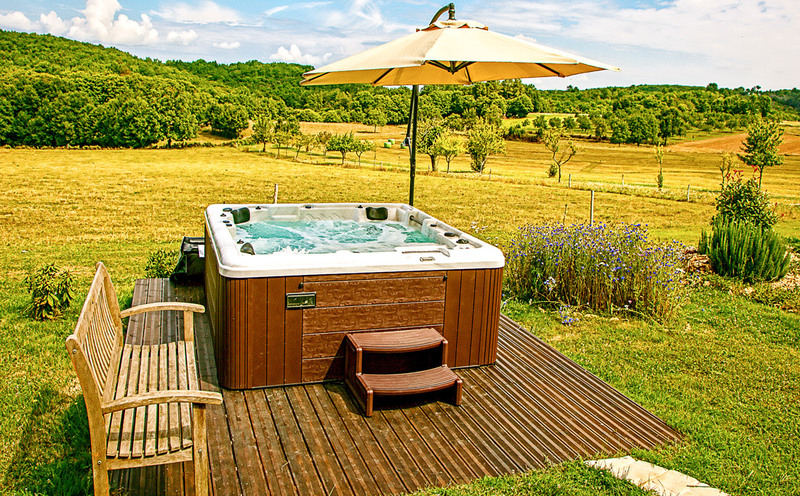 Go for a swim, relax in the Jacuzzi hot tub, have a work out in the gym, unwind in the sauna, or sit back and read a book in the garden, whatever you are looking for, we have it here for you at Les Hirondelles. “We stayed here for a week over Easter 2017 with our two girls aged five and eight. We had the loveliest week in this beautiful charming villa. We took the Eurotunnel and stayed overnight in Orleans on the drive down which was a great location for a stop off and nice to break up the drive too. Linda and George are really amazing and look after everything so well. They really put their heart and soul into making everything perfect to ensure the best holiday possible. They were so welcoming and I’ve never come across such wonderful and accommodating hosts. The local area is just picture perfect like something out of a fairy-tale. So much to see and do and we did as much as we could but didn’t want to leave and wished we had stayed for 2 weeks. The villa is full of everything you could possibly need from plush robes (even for the little ones), bath towels, toiletries, hairdryers and the kitchen is fully stocked with all mod cons. I don’t think there is anything that was missing. I know Linda and George have worked hard to provide anything that is desired so you can relax knowing it’s all there. The house is full of rustic charm and such a perfect holiday place. We loved the house and enjoyed every evening here having bbq’s on the terrace or playing games and watching movies from the great range provided. The beds are amazing and we have never before slept on such a comfortable mattress in the biggest bed ever. My king sized bed seemed very small in comparison when I returned home! Plenty of storage everywhere too. Immaculately clean. The gardens are beautiful with so many colorful flowers and so well kept. The swimming pool is huge and heated to a lovely temperature. We loved the pool and the hot tub was a real treat with the wonderful views of the countryside. Couldn’t ask for better. The highlight of the day for our girls was feeding the chickens and collecting the eggs with Linda. She always took the time to do this with them and it’s a really special memory for them. Nothing was any trouble at all. Thank you Linda. We enjoyed eating freshly laid eggs for breakfast and now love having dippy eggs every morning at home! Linda arranged for us to have Dimitri the French chef come cook for us one evening. What a treat! Food was amazing and pudding to die for. Chocolate surprise was heaven. I also tried white asparagus which was in season in France and that was delicious. Dimitri brought along some specially chosen wines to pair with the food which was just perfect. Highly recommend this special evening as you can sit back and relax and have a luxury meal made for you and tailored to what you like. We will be booking this again when we return next year. Highlights of the area for us were canoeing down the Dordogne river on a beautiful sunny day. Took about three hours or so with a stop off for a drink along the way and scenery is stunning. Girls loved it too and it was so peaceful. We visited Marquesac, beautiful gardens with truly amazing views over the Dordogne. Stopped for lunch there which was lovely. Well worth a visit. Also went to Chateau de Castelnaud. Wow! An amazing medieval fortress steeped in history. Again the views were stunning and it’s so impressive. Loved the visit. Lots of little villages around to visit including Beynac and La Roque-Gageac. You musn’t miss these as they are beautiful and fairytale like, so much history. We visited the local outdoor market which we really enjoyed. Picked up some delicious meats for the bbq, cheeses, fruits, vegetables etc., delicious. The area around the villa is so picturesque and quiet. We took our bikes and went on a few rides with the girls, it was well worth bringing bikes as perfect cycling. I could go on and on about it but trust me you couldn’t be in better hands with this place and such wonderful hosts. We couldn’t have asked for more and our expectations were exceeded completely. We loved it so much we have rebooked this gem of a place for next year. We can’t wait to return and bring some other family members to enjoy the perfect paradise. A beautiful Villa to stay with very welcoming and helpful hosts. 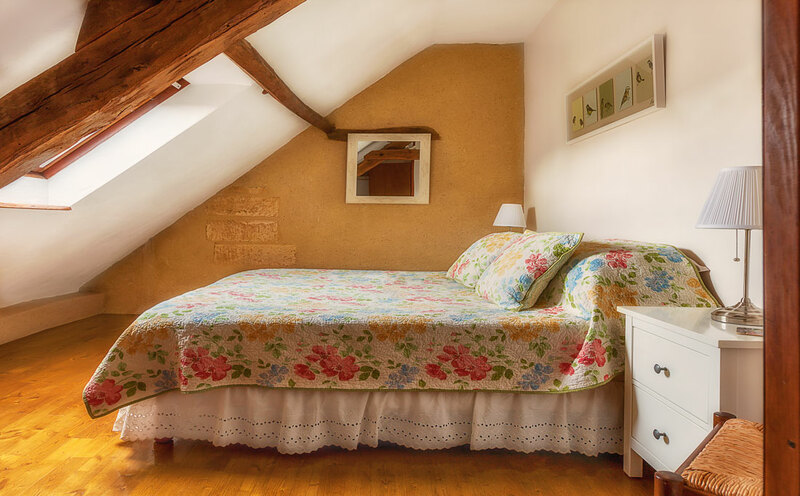 Renting a villa in Dordogne was on my bucket list and I am so glad we had the opportunity to stay in this spacious, well appointed, updated, and perfectly located home. 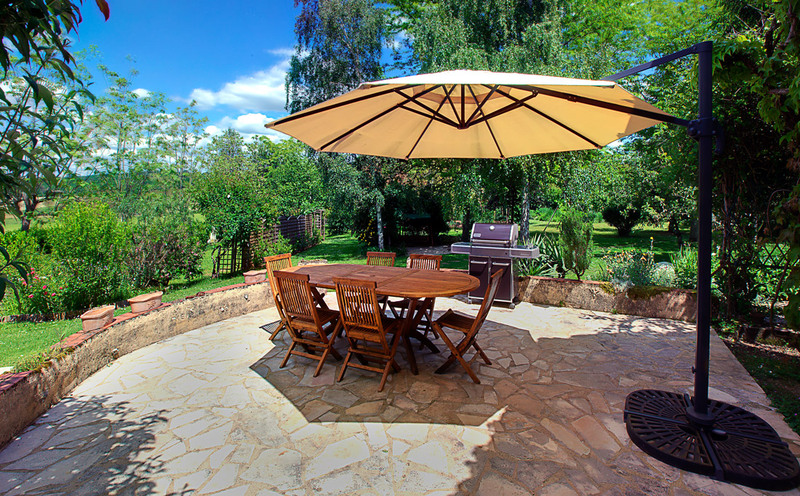 The Villa is a great place from which to explore the Dordogne region, and take some time to relax by the pool. The house is big and spacious with a kitchen perfect for cooking for lots of people – there were 8 of us and it worked really well. 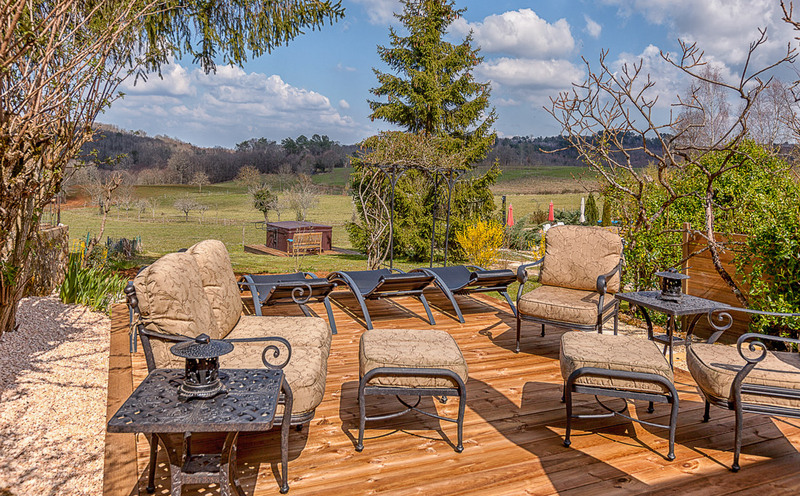 We lounged by the pool, had breakfast outside with stunning views, and finished a bottle or two of wine on the newly beautiful deck in the evenings. The grounds are lovely and the area is very quiet. 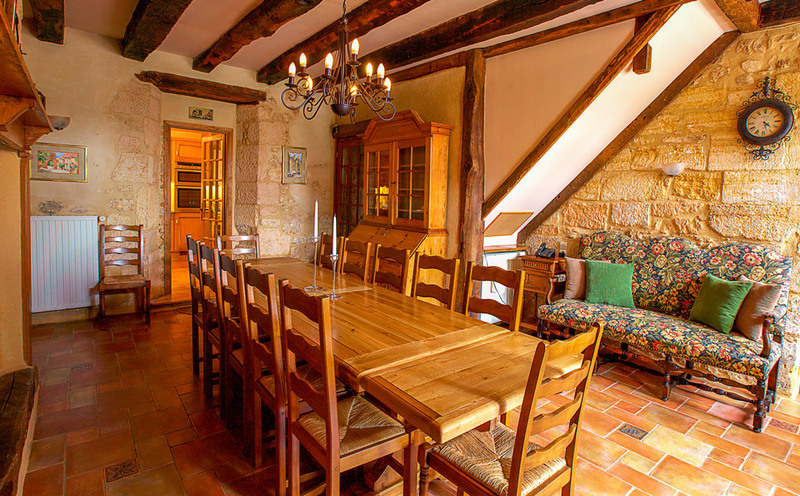 This villa is perfectly located for day trips to many interesting locations including Sarlat, Domme, Beynac, La Roque Gageac and the market in St.Cyprien. We had a fabulous time and would definitely recommend this property!! !